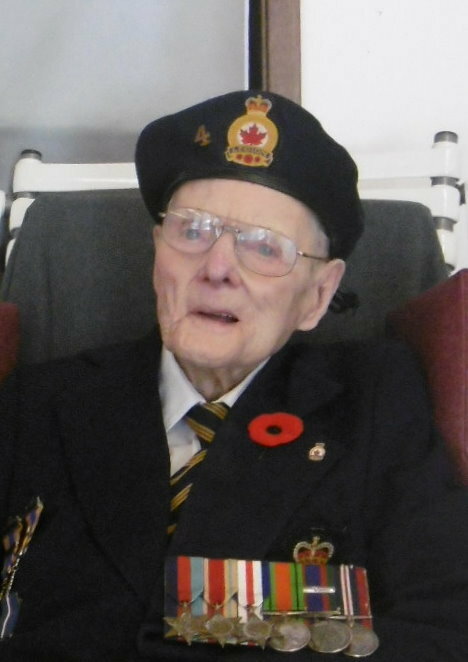 J. T. "Tom" Rowan Obituary - Porcupine Plain, Saskatchewan | Blair's Funeral Home Ltd.
John Thomas Rowan was born to Ethel and Arthur Rowan on December 13th, 1918 in Gainsborough, Saskatchewan. The family moved to Prince Albert, Saskatchewan in the winter of 1918; and again in the spring of April 1920 to the family homestead. Tom remained on the farm until he joined the force in February 1941. Tom married Phyllis Pegg on March 6th, 1941. Daughter Janet was born in 1945, followed by son Mervin in 1947. Tom was an active member in the community; spending many many hours auditing books for the local clubs and churches, and volunteering for many community groups. Tom’s greatest passions were curling, fishing and hunting with son Mervin and later nephew Hugh Mack. After retirement from farming in 1980, he became the municipal pest control officer. Affectionately known as the “Ratman.” Tom took his position very seriously and had a huge success. Tom retired from “ratting” when he turned 90, to concentrate on his curling. Tom was predeceased by parents Arthur and Ethel Rowan; wife Phyllis; son Mervin; son-in-law Harold McLellan; siblings: Mary (in infancy), Pearl Hampton, Winnie Mack and Bill Rowan. He is survived by his daughter Janet, grandsons: Jason (Arnica), Desmond (Monica); great-grand children: Dylan, Acacia (Kenna), Simone (Setota); along with numerous nieces, nephews, relatives and friends.